Stainless steel case with a brown leather strap. Fixed stainless steel bezel. Silver dial with silver-tone hands and dot hour markers. A Roman numeral appears at the 12 o'clock position. Minute markers around the outer rim. Dial Type: Analog. Date display between the 4 and 5 o'clock positions. Chronograph - three sub-dials displaying: 60 second, 30 minute and 12 hour. ETA caliber 2894-2 automatic movement with a 38-hour power reserve. Scratch resistant sapphire crystal. Hesalite crown. Transparent case back. Case size: 39.5 mm. Case thickness: 11.5 mm. Round case shape. Band width: 20 mm. Butterfly clasp. Water resistant at 30 meters / 100 feet. Functions: chronograph, date, hour, minute, small second. Casual watch style. Watch label: Swiss Made. 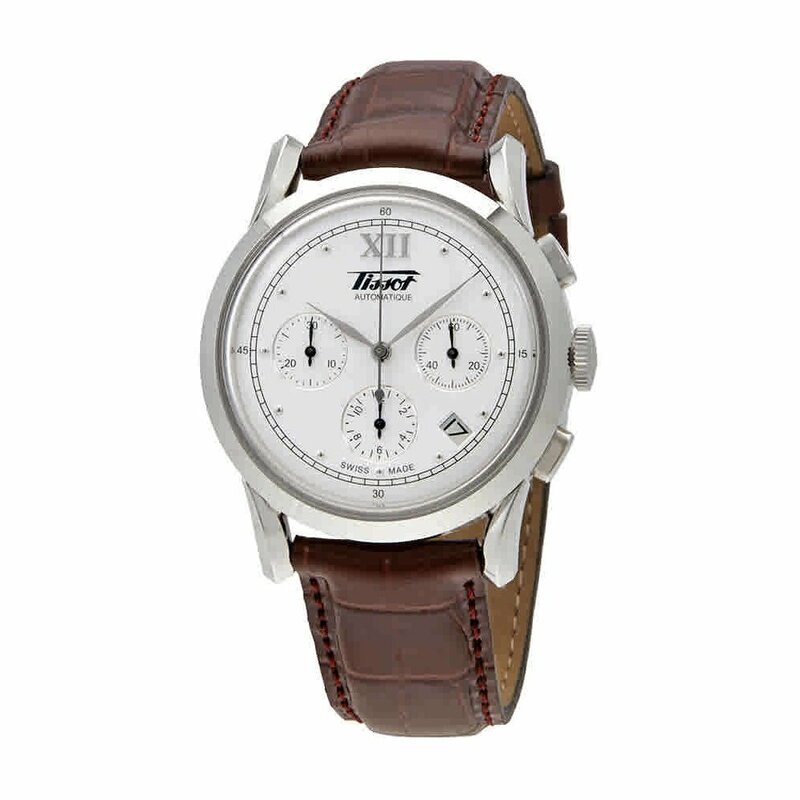 Tissot Heritage Chronograph Automatic Men's Watch T66.1.712.33.